Next year’s silver bullion coins depicting the iconic maple leaf will sport a new finish and an advanced micro engraved design, additions that are "cutting edge in coin security," the Royal Canadian Mint said this week. 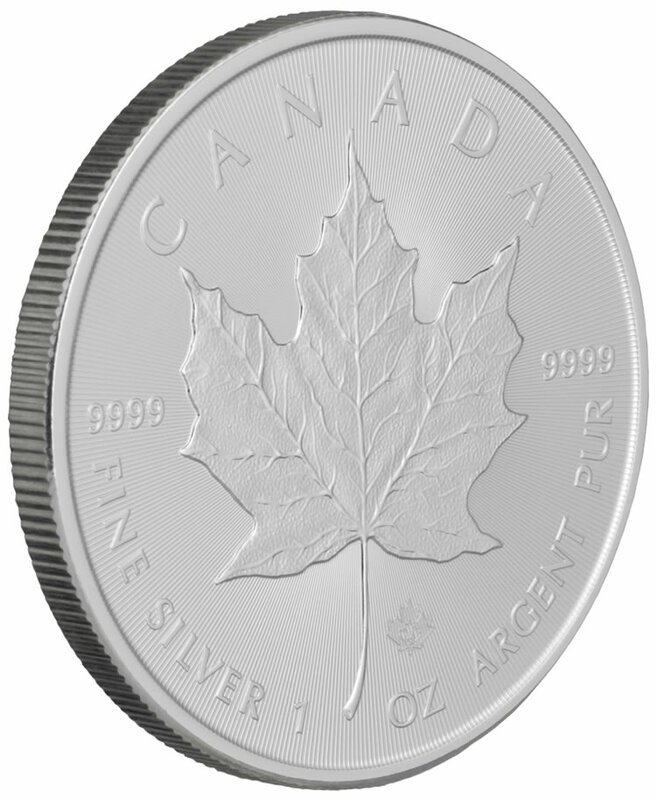 Replacing the bullion finish associated with the Silver Maple Leaf (SML) since its 1988 introduction are "precise" radial lines that emanate from the center of the coin on both the obverse (heads side) and reverse (tails side). These lines are matched from die to die and coin to coin. "The specific width and pitch of the lines radiating from the coin’s central maple leaf design create a light-diffracting pattern which is unique to the Mint’s ‘next generation’ SML and unmatched by competing bullion products," the Royal Canadian Mint said in a coin news statement. 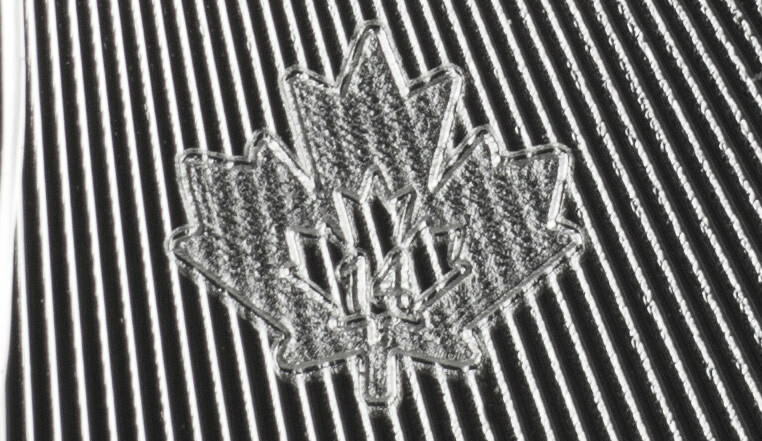 A laser engraved maple leaf is added to the coin’s reverse. Centered within it is the number "14," denoting the coin’s year of issue and visible only under magnification. This particular security element was introduced in 2012 on the Canadian $1 and $2 coins and then added to Gold Maple Leaf bullion coins in 2013.
a serrated or reeded edge. 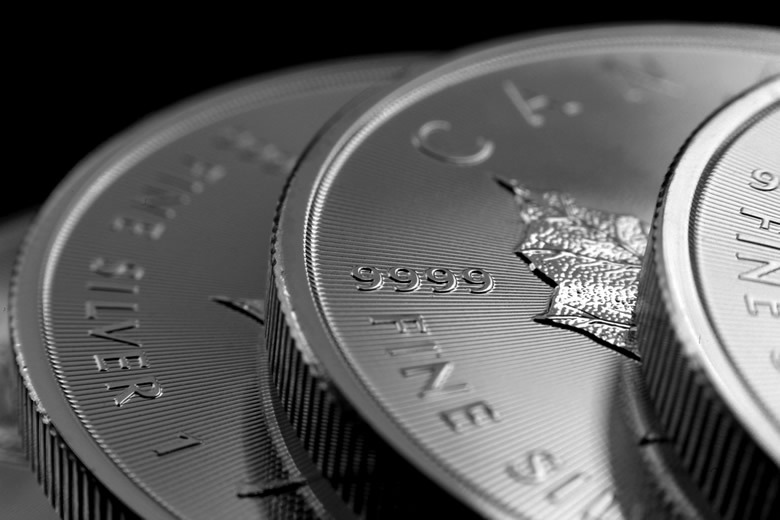 The Royal Canadian Mint this week started shipping 2014 $5 Silver Maple Leaf bullion coins throughout its network of authorized dealers. 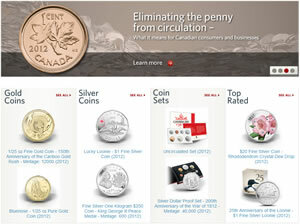 Many dealers are pre-selling the coins now with expectations of delivering them by next week. 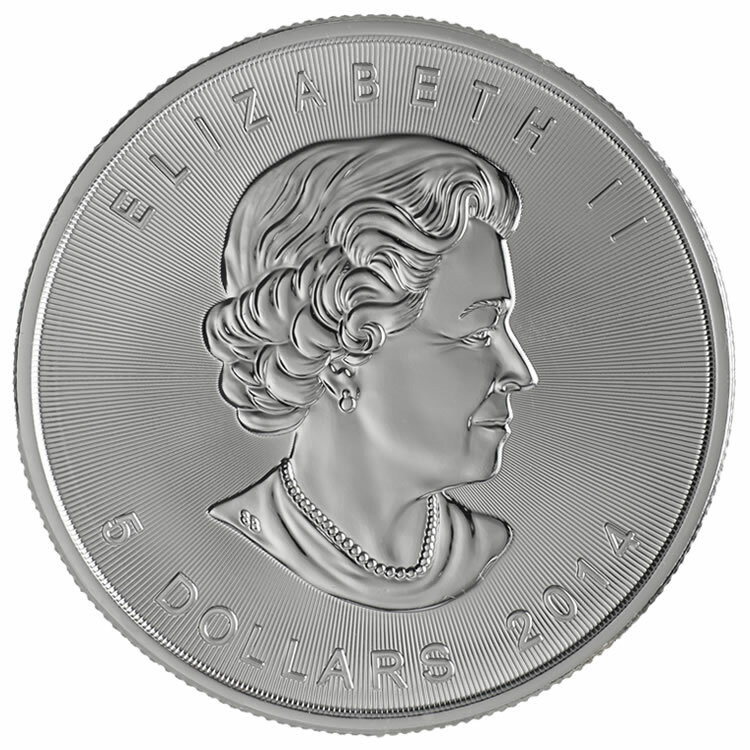 Advertised pricing is running about $3-4 per coin over the spot price of an ounce of silver. Orders of higher quantities are offered with discounts. 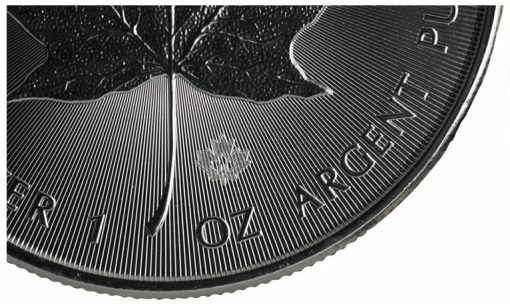 Below are are several Royal Canadian Mint photos of different sides and angles of the new bullion coins. The photos may be enlarged with a click. Absolutely beautiful coin, the state of the art in production. Well done. RCM. I live in the USA and wish to purchase a few of the new Canadian 2014 coins. How and where may I do that and what will it cost? Just received my order of the new 2014 Maple Leafs. Very disappointed Thought the new innovative design would be stunning and interesting but they look cheap and are not pleasing to the eye. 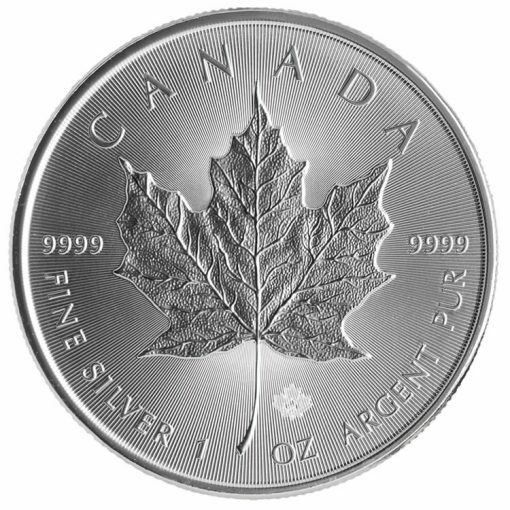 Instead of looking mesmerizing and having an “infinity” look from the radial lines, they look disjointed and parts of the coin look hazy because some of the valleys are smooth and some of the valleys are rough in texture. The previous Maple Leafs were classy and elegant while these look like tokens. 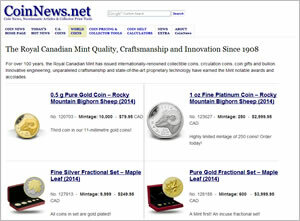 The RCM needs to either perfect their minting process for the new design or go back to the drawing board. I don’t think these will be well-received by most collectors/investors. Received 40 coins of the 2014 editions last week, and I must say I like these one better than the ones I bought in 2013. They are not shiny and classic as the previous ones, but they look really nice and feels great when you are handling them and does not get fingerprints on them as with the old shiny ones.